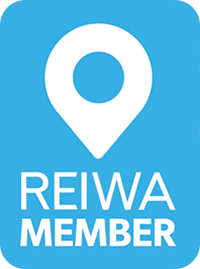 Are you a WA property consultant looking to pay yourself what you are worth ? Are you a dedicated and hard working property consultant (sales representative) on commission who is unhappy with your current commission split? Don’t you deserve a higher commission percentage as a real estate sales representative doing most of the skilled workload? In addition to a higher real estate agent commission split, wouldn’t you like to have most, if not all of the administration and marketing taken care of for you so you can just focus on building more relationships with home sellers and making more sales to grow your business and retain the maximum commission split for your efforts? Hartfield Realty offers property consultants (sales representatives) who are suited for this opportunity, to join a dynamic real estate agency with a mission to empower property consultants like yourself to be a “Experts in the Field” in your own business area. We provide top-notch agency service and highest commission split for the listing and sales agent regardless if you are licensed or only hold a certificate of registration. Our current leadership team has had general management experience of over 35 years but it’s our extensive research and customers’ feedback over the past 5 years that has taught us what works and what doesn’t work in the WA real estate sales industry. As a result we have revamped the typical real estate sales model to ensure our property consultants can deliver the best possible services to their customers in the most efficient manner. We are offering the best real estate agent commission split in WA by taking only a small contribution from our property consultants to sustain our operation and let you earn the rest, provided that you are eligible to be a commission-only sales representative pursuant to the Real Estate Industry Award. If you are not sure about your eligibility, please feel free to talk with us over coffee. For those who have obtained their triennial license, we offer a very special 'partnership' deal with higher commission split, exclusive business area (branch) and share options. With increasing overhead in almost every business, why set up a new business while you can get the services you need at a very minimum cost? + An advanced and cloud-based CRM software that is user-friendly and makes the business operation and staff work more productive. It allows you to manage your listings and sales from anywhere in the world. With the help of this software, property consultants can provide accurate information to clients confidently and quickly, so they have more time to do what they do best - listing and selling properties. And practically you no longer need to be in the office every minute of the day to oversee outcomes and staff contributions. + A TRUE team environment that encourages agents to work together for the benefit of buyers and home sellers. You don’t have to bring your current support team with you (if you have a team) as we provide all of the marketing and administration support you need. This will help you perform even higher sales numbers with better quality and personal service. If you would like to find out more to see if we are a good fit, email me your resume to management@hartfieldrealty.com.au or call Harry on 0452-228-788 for a phone interview. Your interest and application will be treated in strictest confidence!